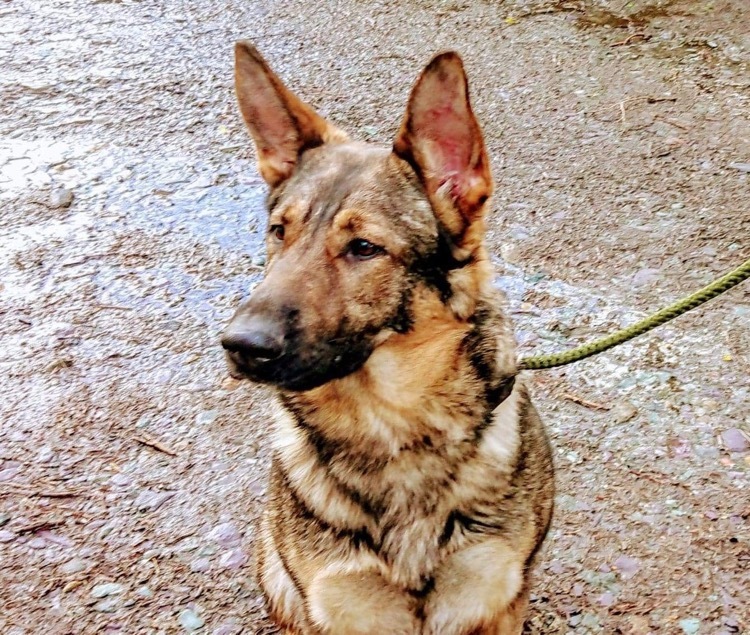 This beautiful girl is Layla, she is an approximately 2 year old spayed German shepherd female looking for a new home as her owner cannot give her what she needs. She is an intelligent girl who currently lives with 10 other dogs. He family want her to go somewhere she can receive more one to one training and have more time put into her. She could live with other dogs but her need for training and mental stimulation will be taken in to account. Layla is used to children but quite boisterous. She would be best suited with children able to withstand her exuberant nature although there is no malice in it! She isn’t suited to living with cats as she likes to make a game of chasing them. Layla currently lives somewhere with lots of land so isn’t used to walking on lead. She needs work on this however her recall is excellent. 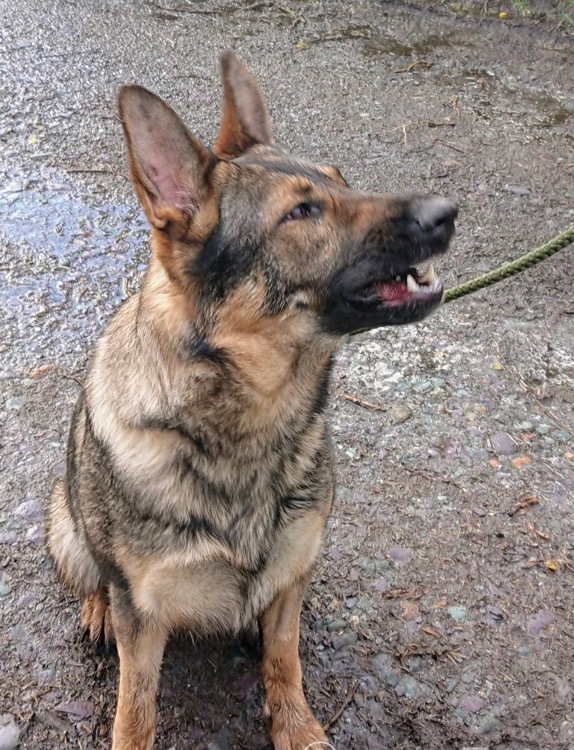 She has basic training but would love a home with a job to do. She could excel at various things such as mountain rescue, man trailing, scent work or even canicross with the right training. She is very biddable and eager to learn. If you think you can offer this girl the life she deserves please get in contact.